This was my second visit to Tunisia. The first was in the late 80s and I spent most of my time on the desert island of the Jerba in the south of the country. 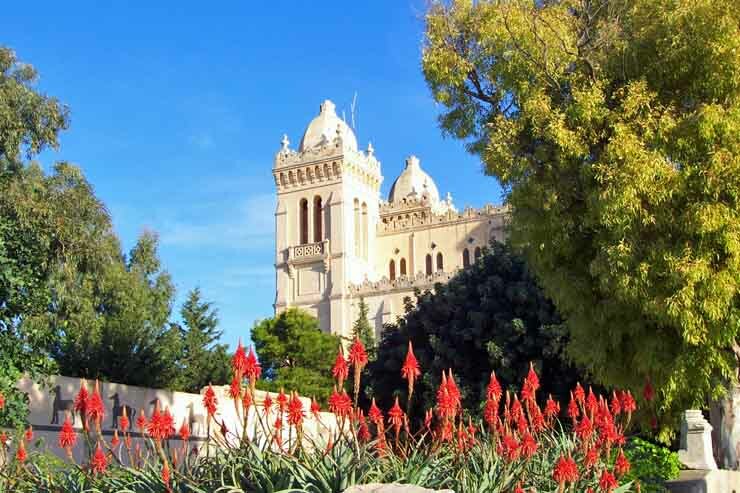 That was a relaxing visit in a place of white stucco walls covered with bougainvillea of different colors. Tunisia is the most European of the north african countries. Only about 10% of the women wear the hajib. 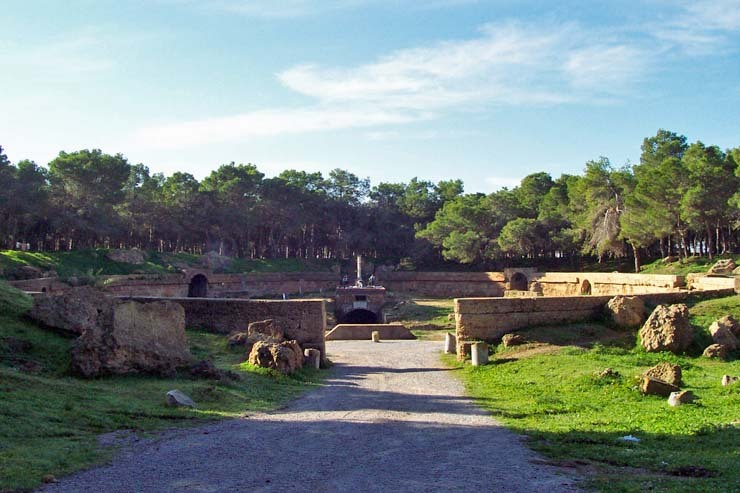 Tunisia is the site of ancient Carthage which fought Rome in three Punic Wars. In the second war, Hannibal led his army from Spain across France to cross the Alps in order to stage a surprise attack on Rome. At the conclusion of the second war in 202 BC, Rome subjugated Carthage. In the third war Rome destroyed every building in Carthage, slaughtered the whole population and sowed the fields with salt. I was part of a small UTS tour group which visited Tunisia, Algeria and Libya. One of the highlights in Tunisia was a visit to the famous Bardo museum which has one of the best collections of Roman mosaics in the world. 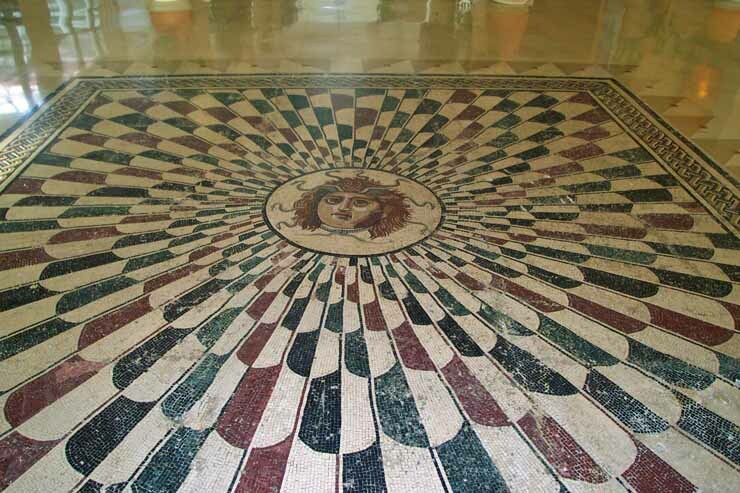 Frankly the quantity and quality of mosaics from the Roman period is astonishing. They are works of art. To me the most interesting Roman ruin was the water reservoir constructed of reinforced concrete because it shows that the scale of Roman thinking and execution was surprisingly modern. Clicking on the Lonely Plant map accesses their site. Cathedral by ancient Carthage is empty and used as to display light fixtures?! Here is a Roman amphitheater. A typical ruin from ancient Roman Carthage. 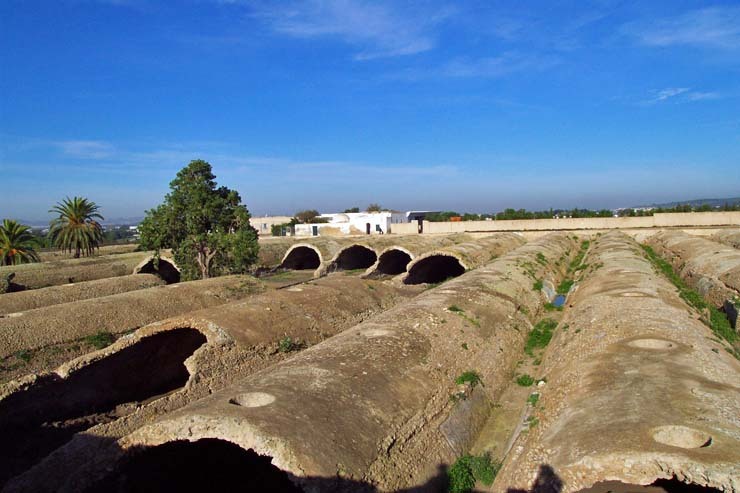 To accompany their 50 mile long aqueducts, the Romans built reservoirs of reinforced concrete. This reservoir covered several acres. 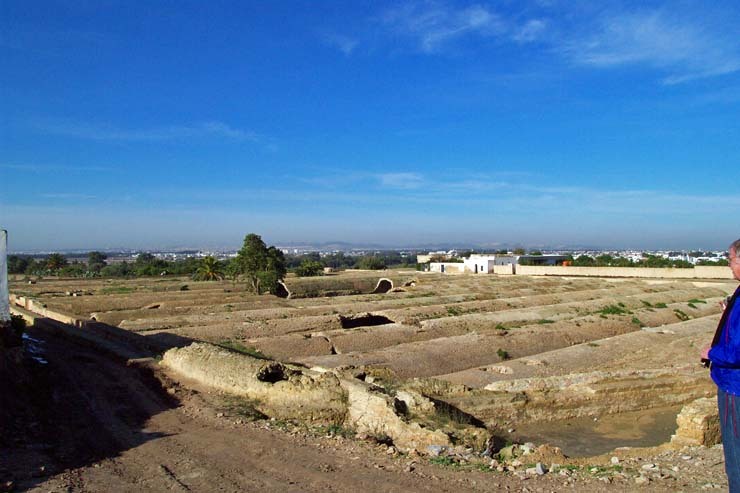 Romans needed water for drinking, bathing, fountains and plumbing. 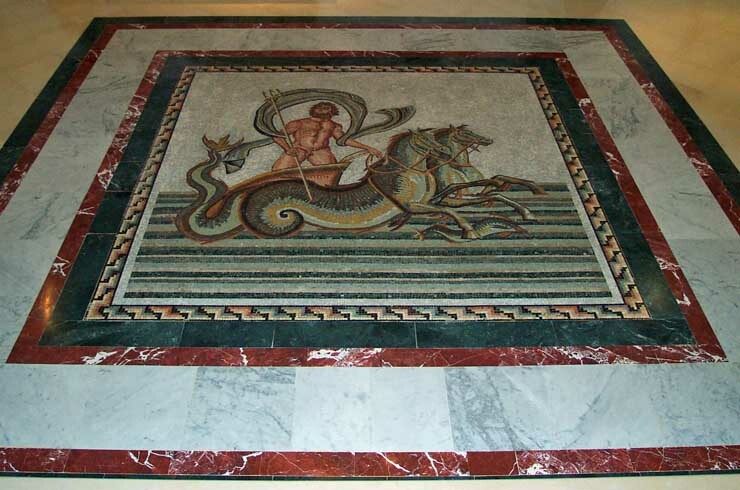 This is a modern mosaic in the Golden Tulip Hotel in Carthage. Another mosaic from the same hotel. 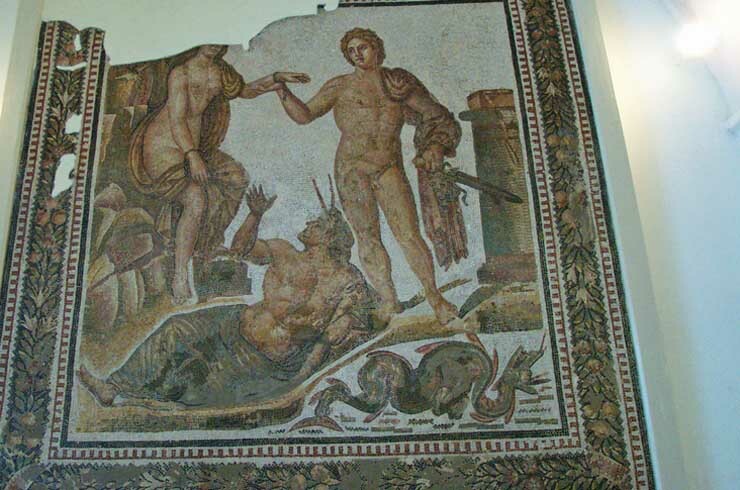 Compare to ancient mosaics below. 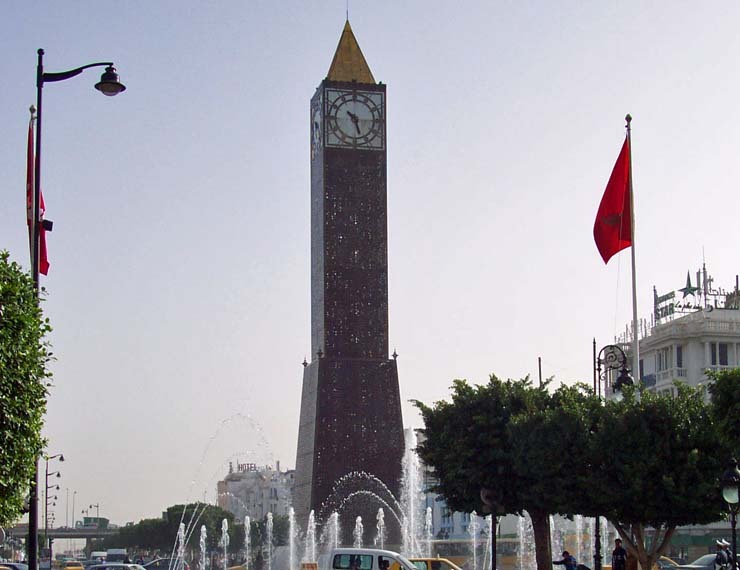 A lovely metal mesh Clock Tower at one end of the main boulevard in Tunis. 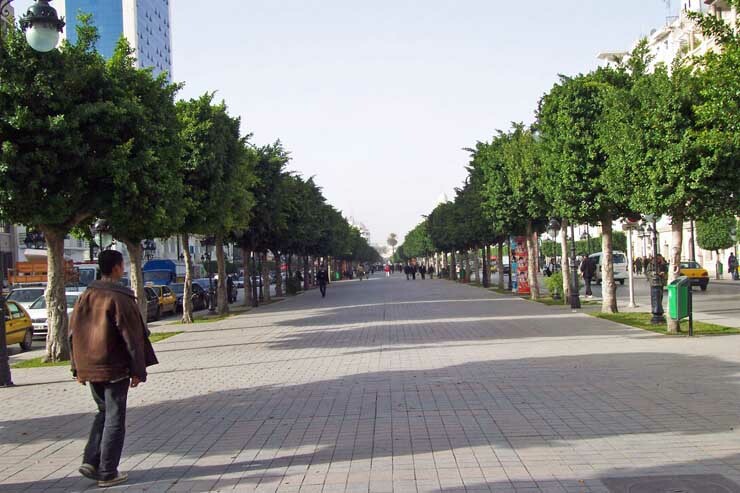 The boulevard, with trimmed trees, extends a mile or two and terminates at the old Medina. To close a budge deficit the Roman Emperor Vespasian invented a tax to use public urinals in spite of the objections from his son. 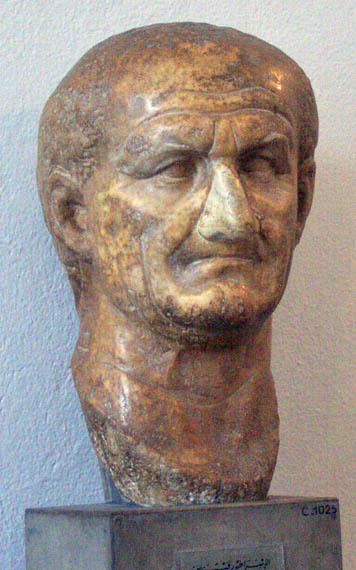 If you have had to pay to use a toilet, thank (sic) Emperor Vespasian! 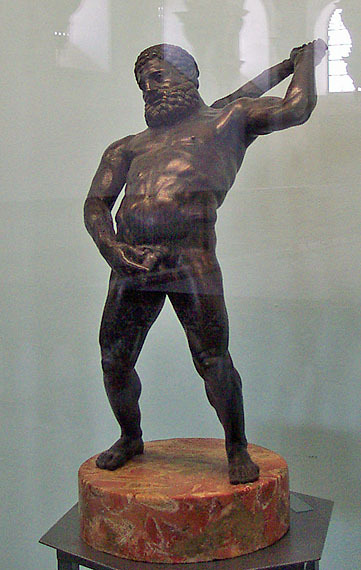 This statue can be humorously viewed as a political statement by an ancient Roman Libertarian to express defiance against the emperor. Note it also violates the Islamic requirement against men urinating while standing. 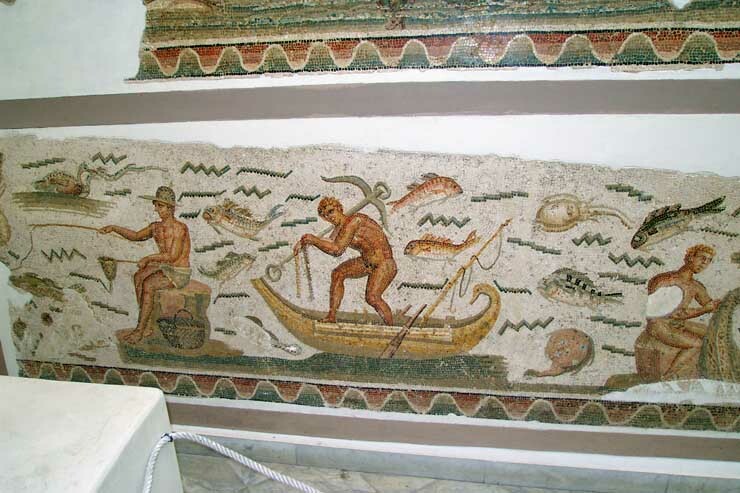 Note the modern anchor in a 2000 year old mosaic among other interesting details. 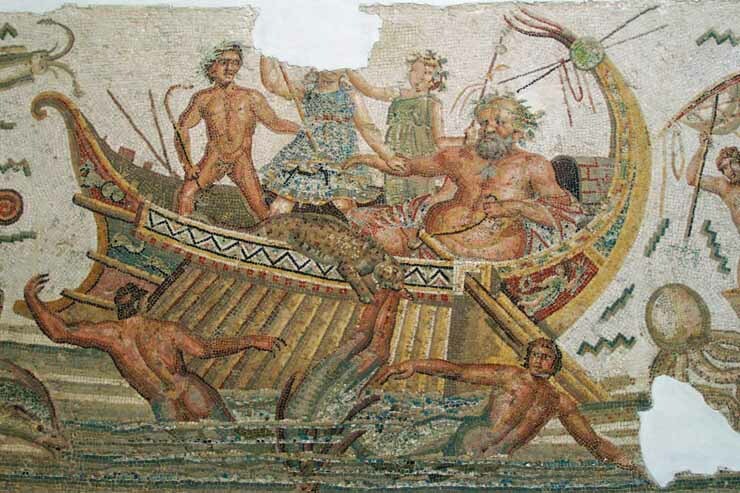 Note the animals in this complex ancient mosaic. This mosaic looks like a tapestry or carpet. Photos do not do these mosaics justice. 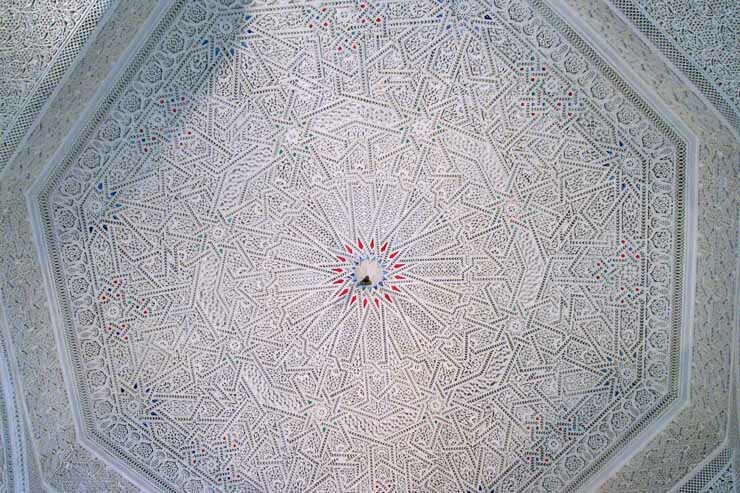 Here is a glorious example of Islamic art that makes a stone ceiling look like lace.